​Tarragon, especially the Turkish variety, has antioxidant properties that can help neutralize the actions of free radicals throughout the body. Free radicals, which are a byproduct of metabolism, have been proven to damage cells unless they are quickly expelled as waste. Studies have found that tarragon oil works as a free radical scavenger to help stop or decrease the damage these radicals can cause. An herb with narrow, pointed, gray-green leaves with a distinctive anise or licorice flavor. Only the leaves are edible. Tarragon is excellent with seafood, fruits, poultry, eggs and most vegetables, as well as sauces, particularly bearnaise sauce. Tarragon can easily dominate other flavors, and care should be taken when using tarragon. Tarragon leaves should be used fresh, as the aroma of dried tarragon is usually very weak. French or german tarragon is sweet and aromatic, reminiscent of fennel, anise and licorice. 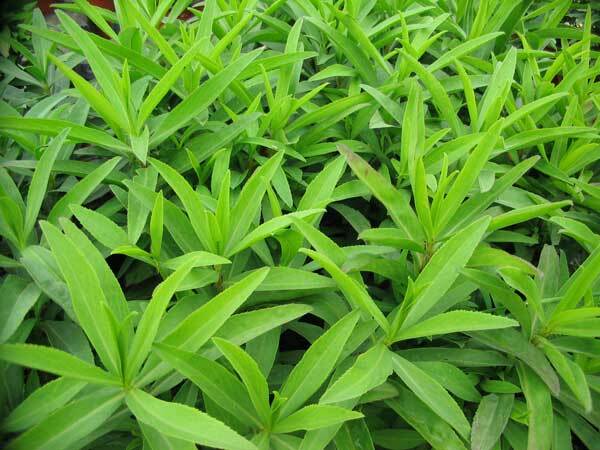 Russian tarragon has coarser, paler leaves and is not fragrant and tastes slightly bitter. The french variety is most often used in cooking. ​While many people are familiar with the culinary uses for tarragon, most may not be aware of its unique medicinal qualities. This herb has been used by numerous cultures for centuries as a natural treatment for many ailments. In addition, it is a superb supplement to any diet because it is high in vitamins, potassium and other nutrients that have been proven to provide health benefits. Whether added to foods as a seasoning or taken as a supplement, there are many good reasons for making tarragon a part of an overall diet.